Cotton Owens, one of the 2013 inductees into the NASCAR Hall of Fame, began his career in NASCAR’s oldest series, the Modified Division, in the 1950s before moving into what is now the Sprint Cup Series. 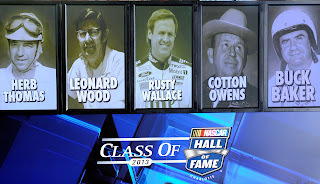 Owens, along with Buck Baker, Herb Thomas, Leonard Wood and Rusty Wallace, will be inducted into the Hall of Fame on February 8, 2013. Everett Owens was born May 21, 1924 in Union, South Carolina. His career began in the 1950s in the Modified Division, winning more than 200 races and three championships (1950 through 1952) before moving into the Grand National Division (now Sprint Cup) in the late 1950s. He won his first race at the Daytona Beach Road Course in 1957, but didn’t win again until 1958, taking home the checkered flag at Monroe County Fairgrounds in Rochester, New York. In the early 1960s, Owens switched gears to become a team owner, hiring Junior Johnson in 1962. He was the first team owner to give rookie David Pearson a ride – something that would make Owens come out of retirement for a few races. While Pearson, who showed much promise, was on track making rookie mistakes, Owens became so irate that he took a second car to Richmond to “show Pearson how it’s done,” according to Owen’s website. Owens won the race, the last of his nine Grand National victories. Pearson went on to win the 1966 championship for Owens. As a team owner, Owens won 32 times in NASCAR’s top division. Among the 25 drivers that got behind the wheel of an Owens-owned car: Buddy Baker, Ralph Earnhardt, Al Unser, Fireball Roberts, Mario Andretti and country singer Marty Robbins. In 1970, Owens prepared the first car that went over the 200 mph mark at Talladega with Baker behind the wheel. After a seven-year battle with lung cancer, Owens passed away on June 7, 2012, just months after being named to the NASCAR Hall of Fame’s 2013 class. Other honors bestowed on Owens over the years: he was inducted into the National Motorsports Press Association Hall of Fame in 1970, named one of NASCAR’s 50 Greatest Drivers in 1998, inducted into the International Motorsports Hall of Fame in 2008, and inducted into the South Carolina Athletic Hall of fame in 2009. He also received the Order of the Palmetto, the highest civilian honor awarded by the Governor of South Carolina, in 2006, recognizing lifetime achievement and service to the state of South Carolina. Learn more about Owens at the website www.cottonowens.com. 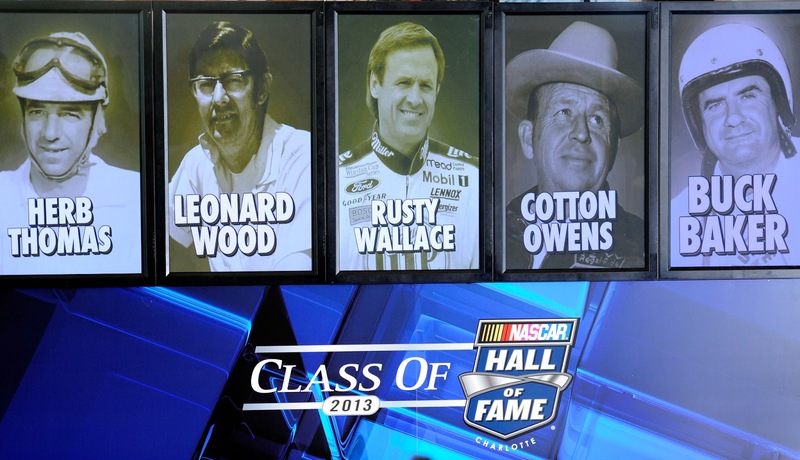 Learn more about the NASCAR Hall of Fame and this year’s inductees at www.nascarhall.com.